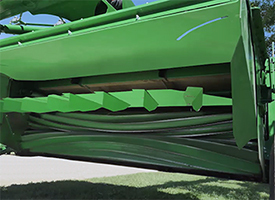 An overrunning clutch located behind the primary driveline enables free rotation of the tractor hookup to make attaching to the tractor easier. 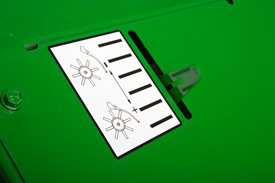 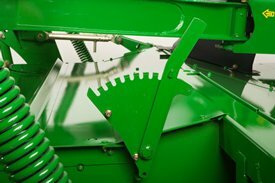 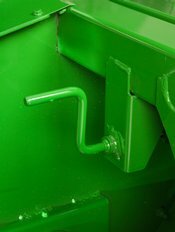 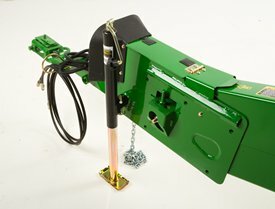 The drawbar equal-angle hitch and tongue are in base equipment on the 830 and 835 Mower-Conditioners. 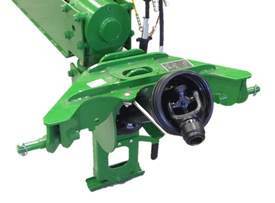 The drawbar equal-angle hitch and tongue cannot be converted to a rockshaft swivel hitch and tongue.